Iron nerves, grit, determination and solid teamwork sealed victory for RI’s A Division Water Polo boys in a match best characterized as one of extreme attrition. In a match that was extended by two quarters, the victors were crowned 6-4 after the finals culminated in a thrilling penalty shootout. This marked RI reclaiming the title having lost it last year to defending champions Hwa Chong, who had broken RI’s consecutive streak of championship wins. 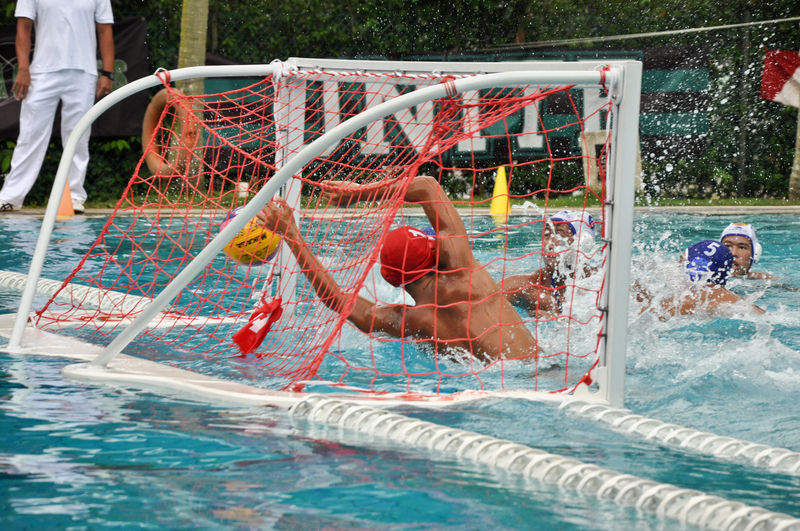 The 8-8 draw during the preliminary stages this year was but a foreshadowing of how tight the water polo finals held on 11 April would be. And true to prediction, the match hung at the knife’s edge literally right down to the dying seconds of the game. In fact, the spectators watched the better half of the match with bated breath as each team struggled to score, tossing the ball mercilessly from one end to the other, with near misses keeping the tension and adrenaline high. The deadlock was broken when RI drew first blood with Daryl ‘Guns’ Cheng slamming home the ball from the right after some nifty passing. The third quarter began with both teams showing much more attacking éclat, as Hwa Chong went full throttle for a much sought after equalizer. Although RI captain and goalkeeper, Lee Kai Yang had made numerous tricky and superb saves to keep Hwa Chong at bay for the past two quarters, Hwa Chong eventually penetrated RI’s compact defense to level the score. The anxiety and apprehension only cranked up another pressurizing notch when the match was extended due to the tie at the end of regulation. To the utter dejection and disappointment of the RI supporters, Hwa Chong once again drove through the RI defense and scored what was thought to be the winning goal, bringing the score to 2-1 during the extra period. However, the highlight of the match was yet to come: when the Hwa Chong crowd was eagerly counting down the mere slivers of time left as the seconds on the clock expired, RI centre-man Neo Seh Woon rose magnificently and unexpectedly from the far end of the post to calmly receive a corner throw to score. 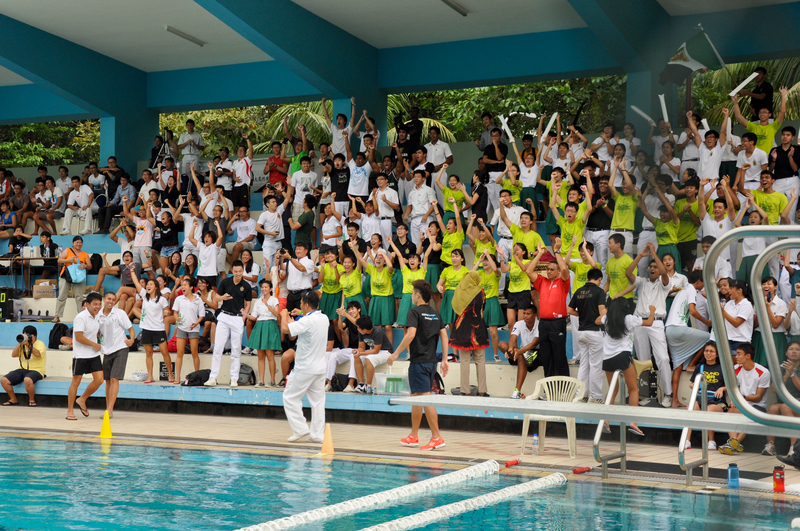 The chanting stopped dead in the throats of the Hwa Chong supporters as they were reduced to a stunned silence. RI had almost literally come back from the dead to force the tie to penalties. 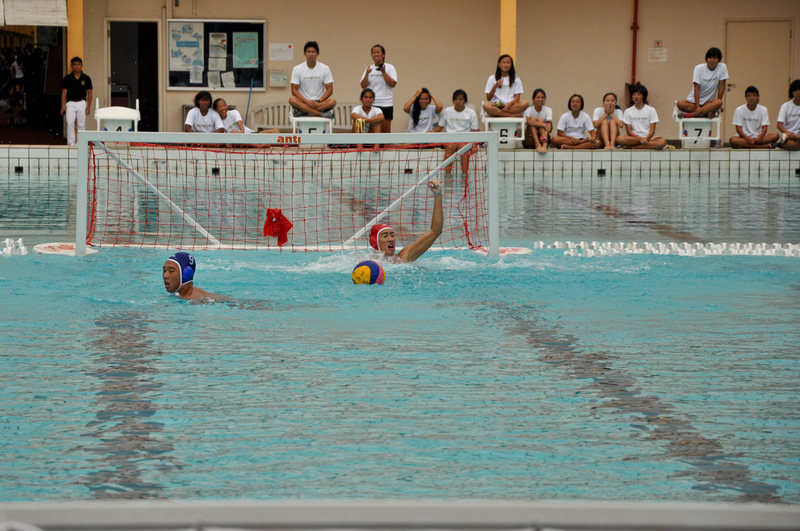 With Hwa Chong starting on the penalties, every eye in the venue was focused unblinkingly on the RI goalkeeper; it was ”quieter than an exam hall”, according to Seh Woon. Subsequently, the home team niftily tucked their four shots into the same corner. 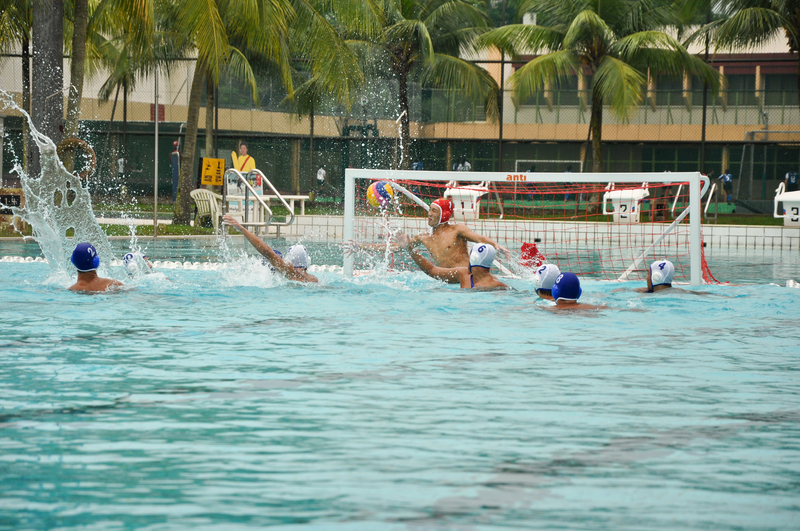 Even though the Hwa Chong team displayed cool nerves given the sudden setback to hammer home two penalties, they were ultimately thwarted by Kai Yang, as he blocked two of their shots, ensuring the title went to RI. All in all, it was ”a very hard fought match, very intense”, as Seh Woon contended, and that the entire team ”[was] delighted with the win because it validated their efforts for the past six years”, a sentiment shared by captain Kai Yang, who said that he was very much ”relieved” for the hard work of six years paying off. Before the match, the RI girls’ team too, swept home to a convincing 15-4 victory, netting their fifth consecutive victory. With the boys winning their match as well, this double gold has again established RI’s water polo prowess in Singapore’s sports arena. Watch the highlights of the match in the video below!